How to draw a pencil towel stages ? Draw today hanging on the towel hook. It will take You 2 min. 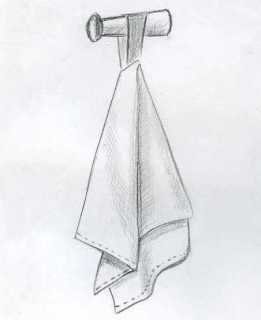 Towel in the Russian style we've drawn with You here. Zastrahuete all stennie. 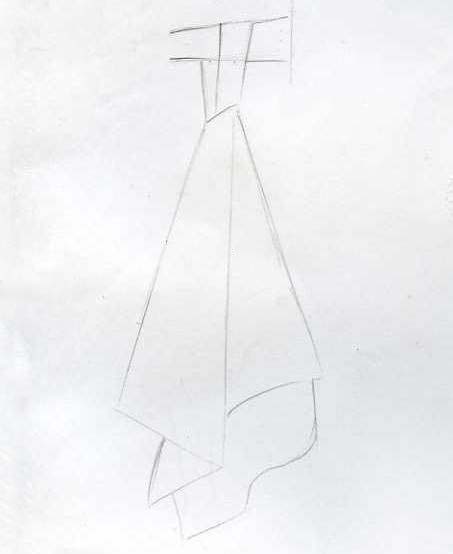 Draw the coat rack for towels - conical shape with a tip in fome of the ellipse. 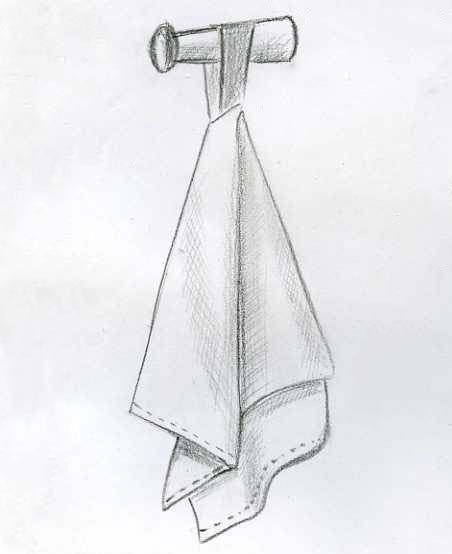 Add a visible line at the edge of the towel.